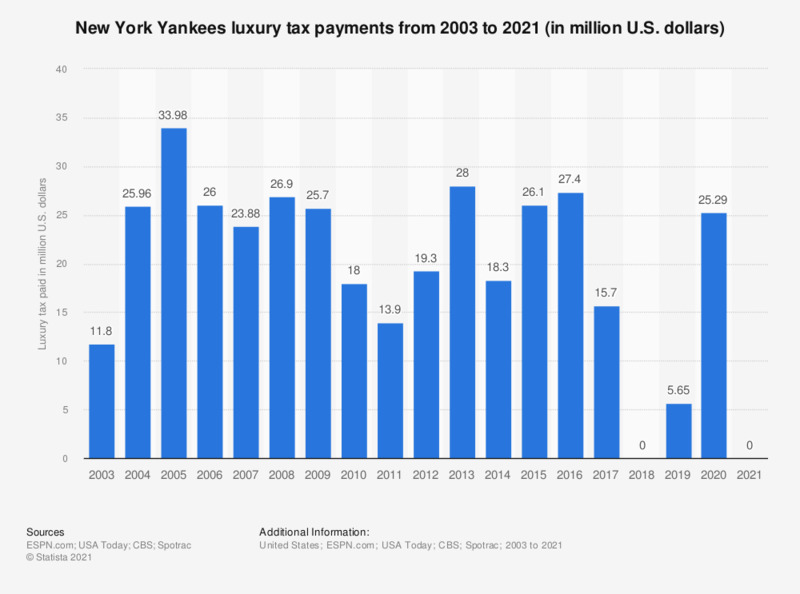 The statistic shows the luxury tax payments of the New York Yankees from 2003 to 2018. For the 2017 season the Yankees paid 15.7 million U.S. dollars in luxury tax. * The luxury tax in baseball is a tax on payrolls above a specific threshold each year. What do you expect when you buy a luxury brand for yourself? Is buying personal luxury products a special event for you?